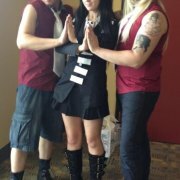 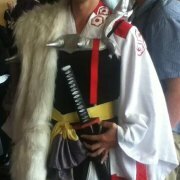 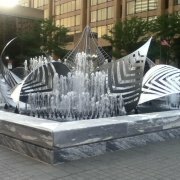 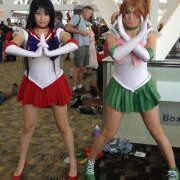 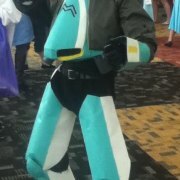 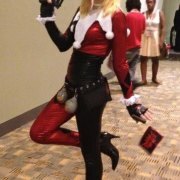 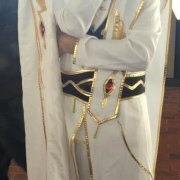 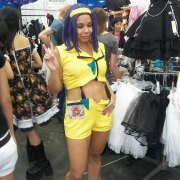 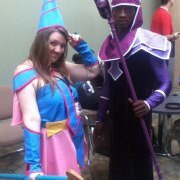 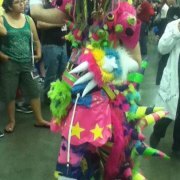 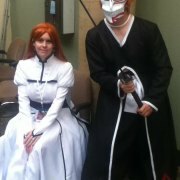 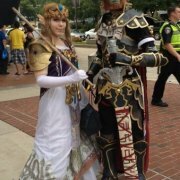 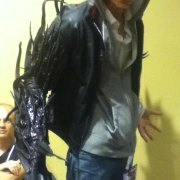 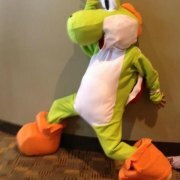 BALTIMORE, MD (HNN) - Elaborate costumes graded the Otakton last weekend in Maryland. 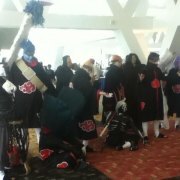 Although the sun beat down harshly on participants, many wore their costume outside the air conditioned venue. 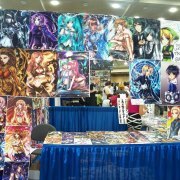 Otakton celebrated Asian pop culture, particularly fantasy animation characters from television, video games, comics and movies. 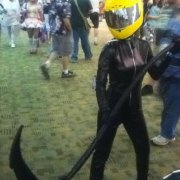 Favorites included a few Starship Troopers. 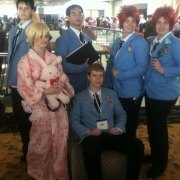 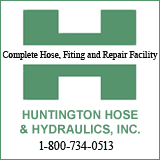 Although security was visible, no incidents were reported. 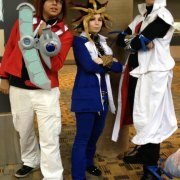 Con-goers did wear badges after registration. 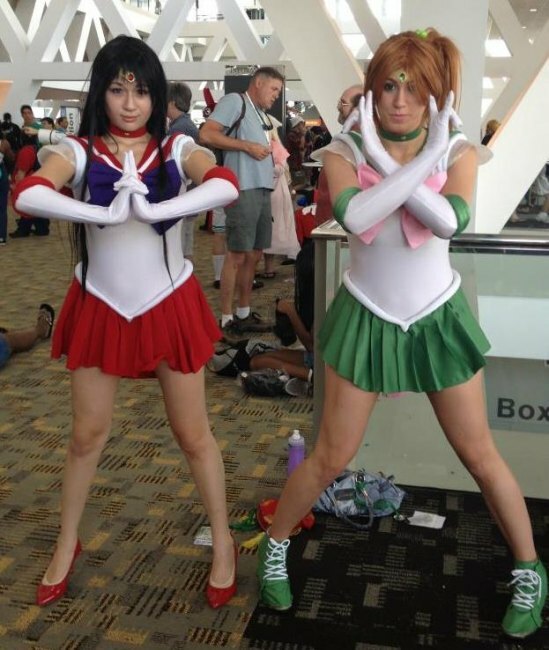 Two costumed young women --- one in a red mini and red pumps , the other in a green mini and green boots --- prepare for action at the anime con.